When it comes to our daily outfits, our accessories can do most of the talking. A plain tee and jeans may keep their lips sealed, but a pair of statement earrings instantly transforms your OOTD into a chatter box. 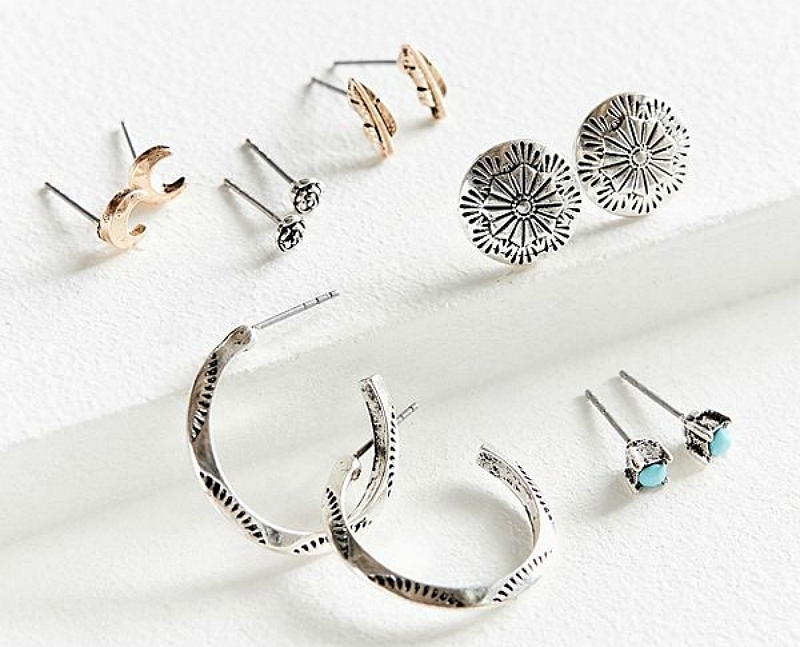 Because earrings can speak volumes, you must rock the perfect set for your personality. 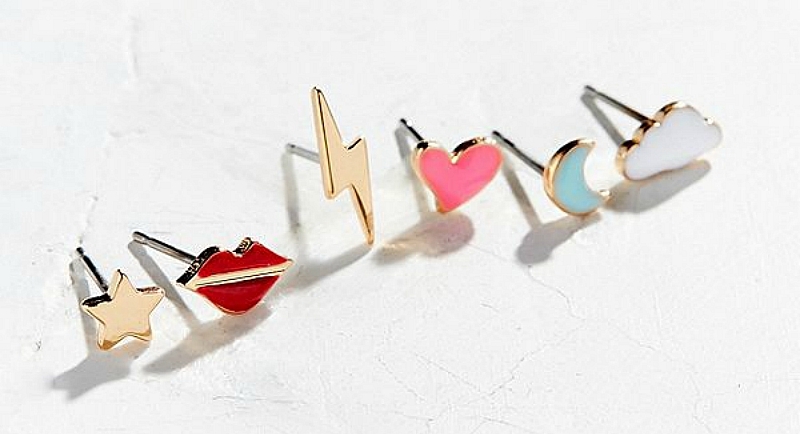 Continue reading to find your soulmate earring set, based on your unique personality. Perfectionists don&apos;t like to leave things up to chance, which is why this simple yet elegant set is your go-to pack. 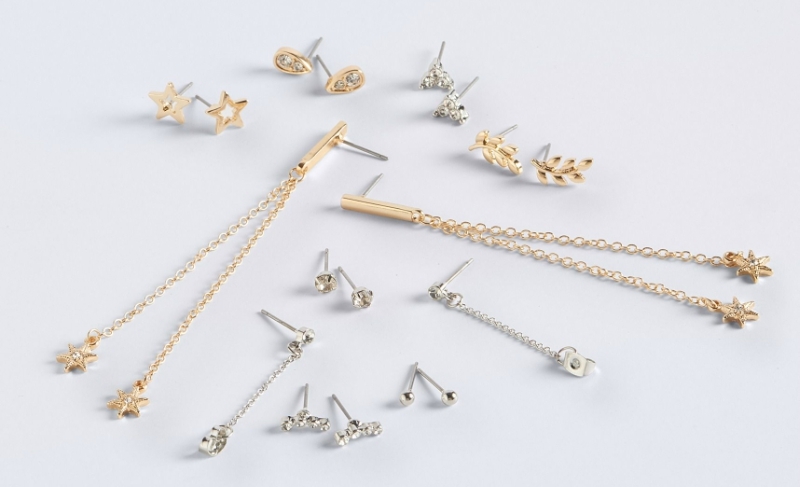 Diamonds go with literally every outfit while sweet pops of pearl and gold are suitable for classy occasions. While you may want to venture into a statement earring every now and then, you know your heart is always leaning towards this classic set. Rebels are always looking for a rule to break, which is why this set of mix-matched earrings really calls your name. 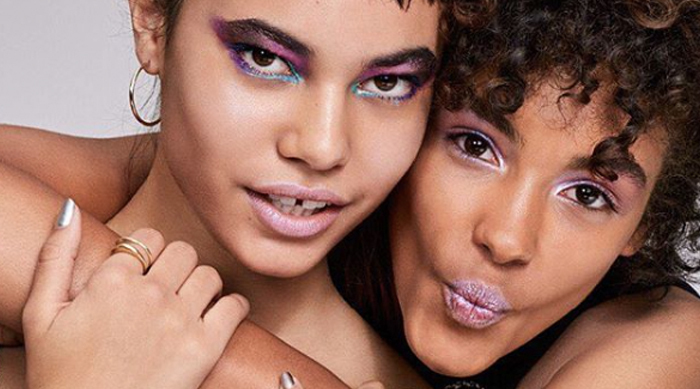 Whether you don a lightning bolt with a kiss or a cloud with a heart, there&apos;s no wrong way to mix up these cute yet totally rockstar shapes. Introverts don&apos;t necessarily want their earrings to make a statement. 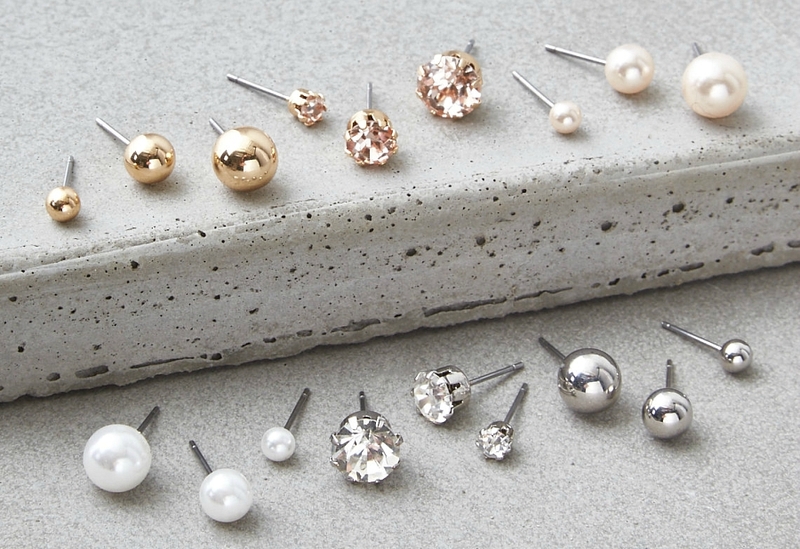 These micro studs are super tiny but make a big impact. You may not like to draw a ton of attention to yourself, but, deep down, you know how to rock a totally unique look. 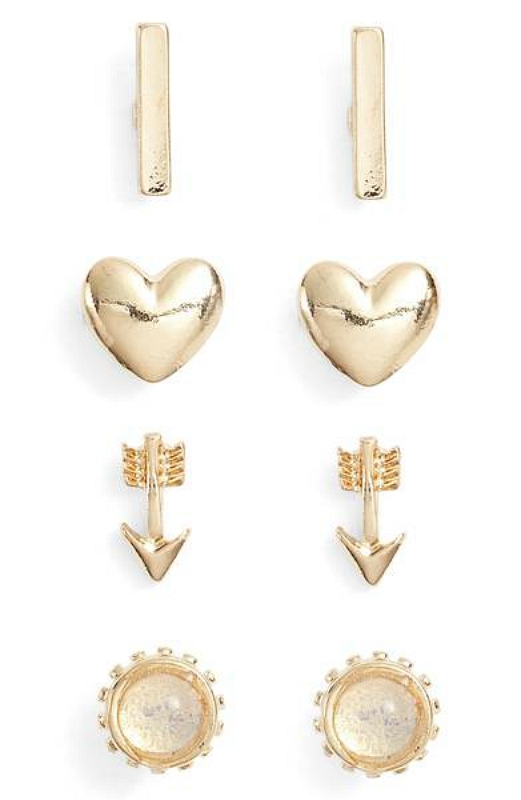 These mini earrings may not have a big personality, but they sure do have their own individual charm, just like you. If you&apos;re a drama queen, you&apos;re all about being the center of attention. 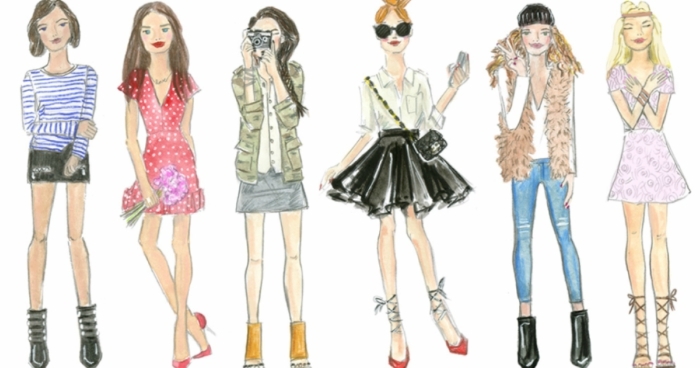 You&apos;re loud and you&apos;re proud because you know that your bold personality is constantly turning heads. 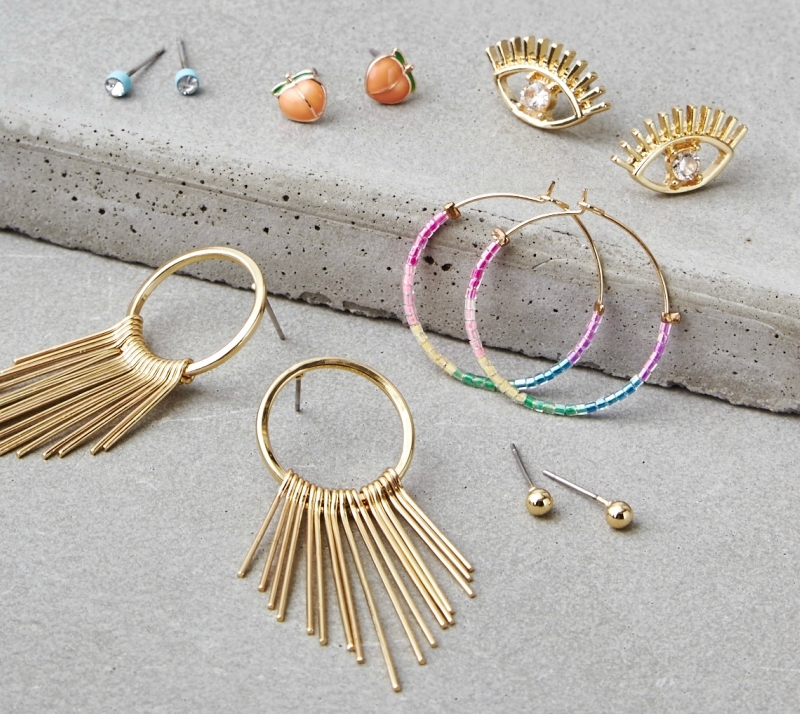 This earring set speaks to your inner wild child with pops of color, interesting shapes and peachy keen studs. It may not be the most cohesive set on the market, but your flair for the dramatic means that you, like this set, are all over the place. Basically, you really want your accessories to make a statement, which is exactly what this pack does. If you&apos;re a social butterfly, then you float effortlessly between groups of people and mesh well with many personality types. 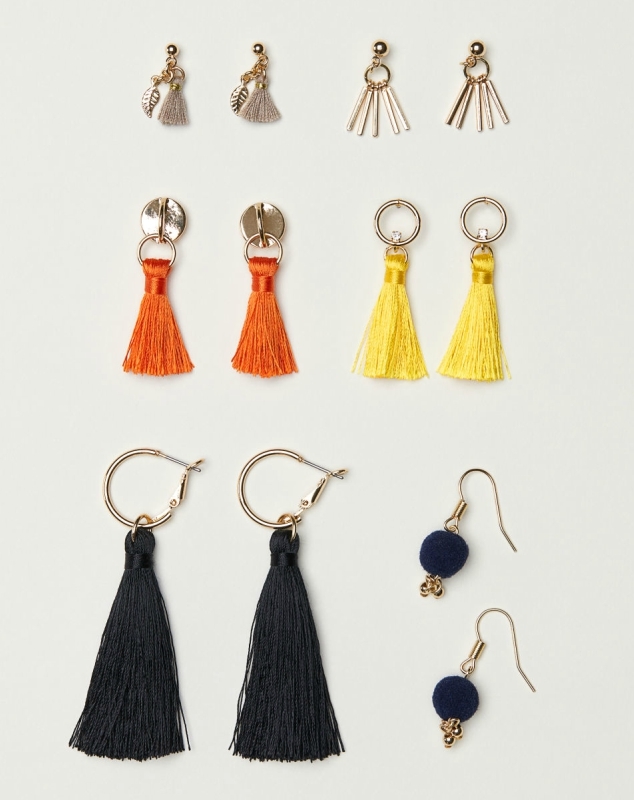 This set of tassel earrings is just as light and airy as you are. With fringe and color, how can you go wrong?! Being the social butterfly means you&apos;re probably the life of the party, and with a reputation like that, you have to wear an accessory that makes a grand entrance. If your go-to movie is a rom-com, then it&apos;s safe to say you&apos;re a hopeless romantic. 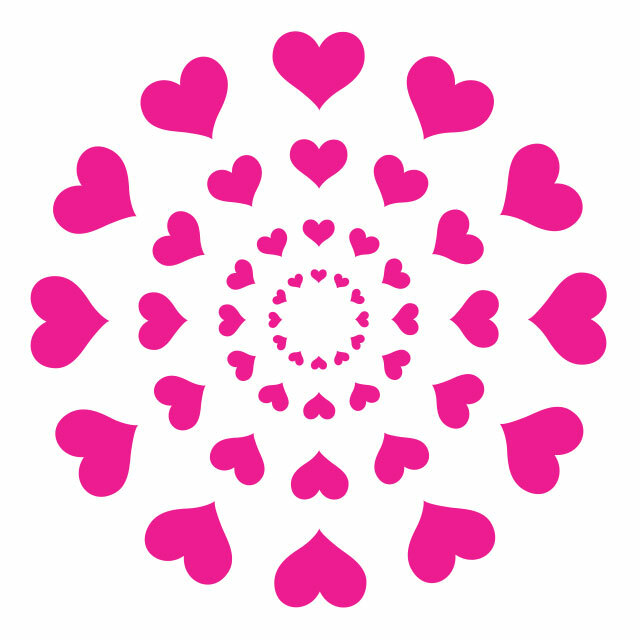 Your head and your heart think as one, which means your mind is always on love. This simple yet romantic set of earrings speaks to your deepest desires… all of which revolve around your crush of the moment. Dreamers have their heads in the clouds, but this earring set goes one step further: It reaches for the stars! You go above and beyond in all that you do because you have your heart set on achieving your dreams. This pack of stellar earrings keeps you focused on the end goal, all while showing off your out-of-this-world style. Earth babies are all about a Southwestern feel that really vibes with nature. This set is reminiscent of that recent trip to Joshua Tree or that bestie road trip to a national park. 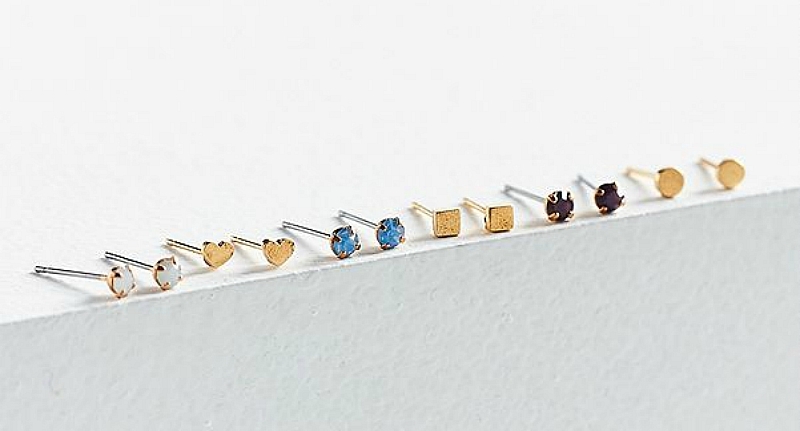 You&apos;re partial to the good energy that nature provides, which is why you keep things real with these studs that range from feathers to crescent moons to turquoise gems. While earrings are one of our favorite accessories, there&apos;s no doubt they also require the most courage. If you&apos;re a fan of piercings, you have to click HERE to see our definitive ranking of painful piercings.